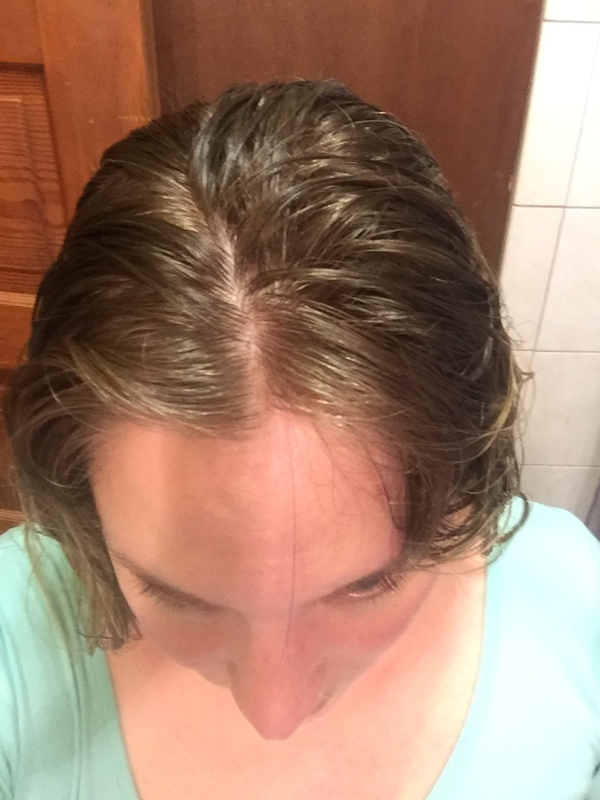 if you recall, back in september i posted about having a meltdown over my hair thinning for no apparent reason whatsoever. 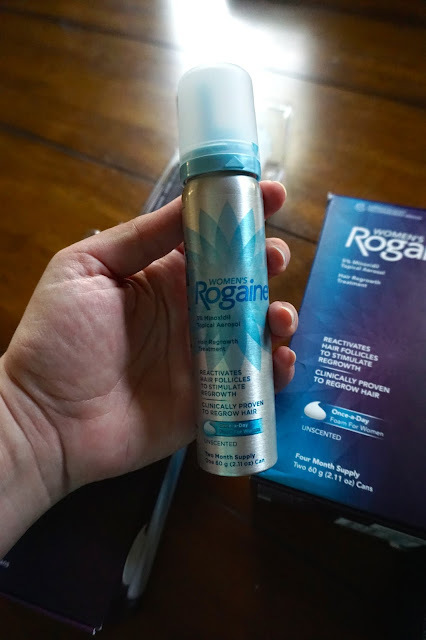 that post coincided with my starting the Women’s ROGAINE® Foam, which i posted about here. i have a ton of information about the product in that post, definitely check it out if you're curious (i interviewed a stylist to the stars to get all the details.) so at this point i've been using the foam since that last post and a bit before, so i'd say 3.5 months. a lot of you mentioned that you were considering trying it, and i promised to update you with the progress come december. so here i am! am i seeing results? yes, just keep scrolling for more photos! am i happy with the product? also a yes. Women’s ROGAINE® Foam is very easy to use. i'd just rub it onto my scalp after i showered and let my hair air dry a bit. that's literally it. it added no more than 1 minute to my post-shower routine. i had no reaction or anything - there's no burning, itchy, redness, anything like that. it was like putting in any other hair product. it didn't interact with anything else i put into my hair, so i really liked that. the only downside was washing a tad more often because i didn't want to use dry shampoo. 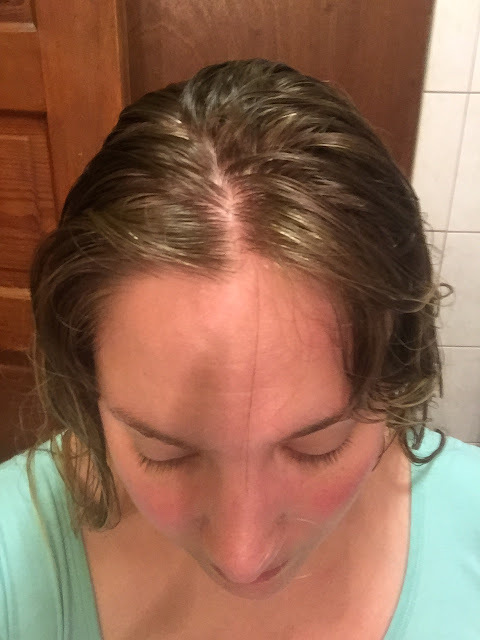 the foam is most effective when applied directly to your scalp, so if i had used dry shampoo in the morning and then put the foam on at night, i wasn't certain it was being as effective as possible. so i mostly forgot the dry shampoo in that area and instead washed about every other day. any weird effects? other than making the hair re-grow in that one spot and making it thicker (it's healthier, thicker hair that's growing in, for sure - look at the thickness at the root), i haven't noticed any other effects. it hasn't changed the color of my hair or my scalp. i tried keeping the photos the same as far as lighting, location, time of day, all that (and down to the shirt i'm wearing! 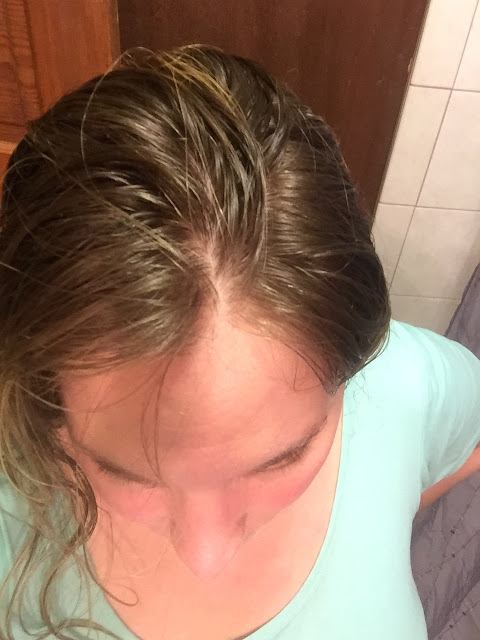 ), and the same fresh out of the shower wet hair parted around the same trouble spot. hooray giant photos of my head. as a reminder, i get mine at walgreens but i've seen them all over and even online, so you can definitely find it easily. it's pricey because you're like 'jeez, not a huge tube!' but each tube lasts 2 months. 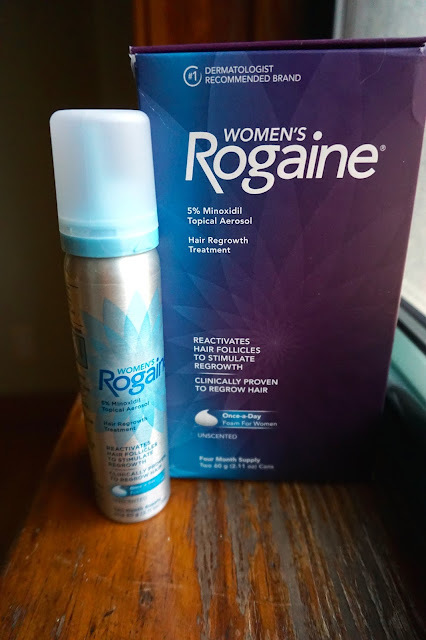 i'm a Women’s ROGAINE® Foam believer. oh and styled hair! of course you want to see styled hair. 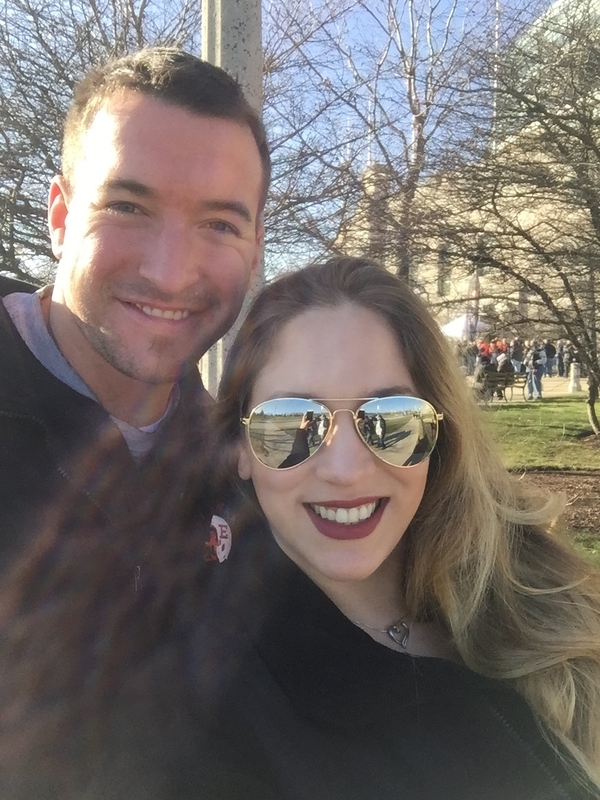 these photos are from the bears game this past weekend. LOOK HOW FLUFFY. is there a fluffy hair don't care hashtag? because that's me right now. all the volume! 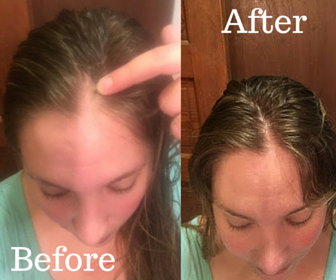 thanks Women’s ROGAINE® Foam! Products were provided by the Women's ROGAINE® Foam. 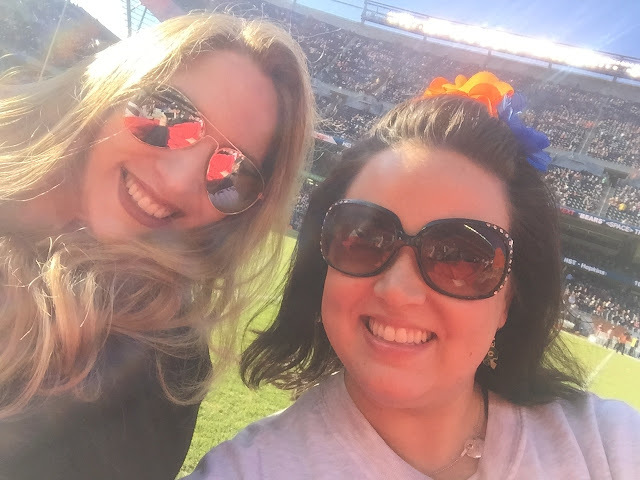 I was selected for this opportunity as a member of Clever Girls and the content and opinions expressed here are all my own.